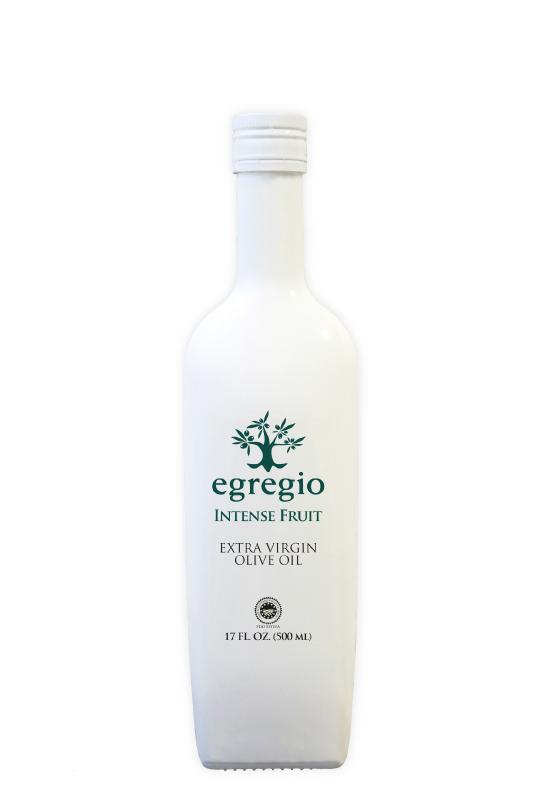 Egregio Intense Fruit is an extra virgin olive oil is made from predominantly hojiblanca olives, harvested very early while the olives are still green and cold extracted, resulting in an excellent extra virgin olive oil with an intense green color. On the nose there is a smell of freshly cut grass and green fruits. 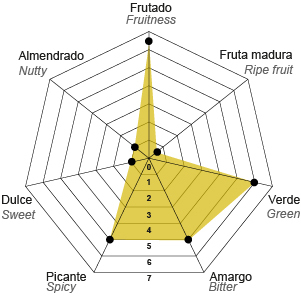 The palate is dominated by green nuances, and provides a pleasant burn and bitterness that are well balanced. This oil is best consumed with bread, salads and pasta dishes.